Fill in the form below to get more details on our services. 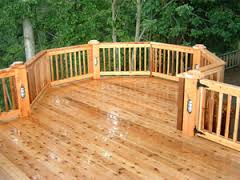 A well-disciplined and thought out approach to deck maintenance and beautification that begins with detailed preparation, the use of high-grade stains and materials; all handled in a business-like manner. With deck staining we consider that selecting the right stain products for residential deck jobs requires “background” work before the job is started. For example, what kind of finish are you really looking for? Correctly applied, stain finishes will provide a true, flat finish that enhances the beauty of the wood surface. Semi-transparent stains offer a variety of tints that allow the grain and texture of wood to show through. In contrast, solid-color stains are heavily pigmented. These stains cover the wood grain, but do not cover its texture. Solid-color stains also provide more protection from the sun’s UV rays. Unlike stains, most house paints are formulated to provide a finish that differs from stain finishes in several ways. Many house paints labeled as “flat” still give off a low-luster sheen when dry. In addition, paints are manufactured to form a harder, more protective barrier than stains between the wood and the environment. However, paints are more subject to peeling, since moisture can be trapped beneath the surface of the coating. We can provide samples and pictures stains along with product information from manufacturers that will help demonstrate to you, the customer, some of the major differences in appearance and performance between these products. What makes a good deck stain? Factors affecting deck stain protection time? 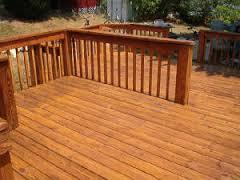 What is the difference between paint or stain with regard to decks? We are a fully licensed professional pressure washing services provider and roof cleaning company located in serving Chester County, Delaware County, and Montgomery County, PA. The highest quality of professional equipment is used for all our pressure washing customers. We also use the best in cleaners and detergents allowing us to safely remove mold and algae from any surface. We use a roof cleaning equipment designed to remove the algae and black stains from your shingles without causing any damage to your house. What are the black stains on my roof & can they be safely removed? The black stains on your roof are simply an algae that feeds on the limestone filler in your shingles. We gently, at low pressure, using the proper cleaners and detergents, remove the black stains. We gently remove the black stains and algae from stucco using a method known as soft washing. This simply means that we use approximately the same amount of pressure as a garden hose while investing in the proper chemicals needed to safely remove the black stains and algae without damaging the structure. This method is also used on vinyl and aluminum. The results are a cleaner surface that lasts much longer as we don’t rely on high pressure, but actually kill the mold, algae, and mildew. Our services are provided by professionally trained technicians and we are equipped to handle all of your exterior cleaning needs. 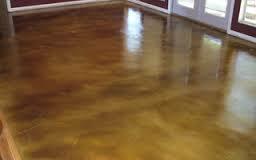 Beautify and protect your home’s interior and exterior concrete surfaces with 1-Part Epoxy. Concrete and Garage Floor Paint. This water-based paint can protect against hot-tire pick-up, automotive fluids and most household chemicals. This epoxy paint will provide a beautiful protective finish on driveways, garage floors, pool decks, walkways and interior concrete surfaces and allow for easier clean-up. Properly prepared and cleaned coated or uncoated exterior surfaces. Wood, Vinyl, Aluminum, Fiber Cement Siding, Metals, Brick, Masonry, Stucco, Steel, and Fences. Family Rooms, Living Rooms, Dining Rooms, Bedrooms, Hallways and Ceilings. Properly prepared Interior or Exterior vertical surfaces such as: Stucco, Masonry, Concrete, Concrete Block and Brick as well as adjacent Wood and Metal. 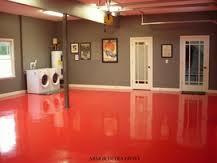 Beautify and protect your concrete services with a vast array of colors to choose from. Properly prepared Interior or Exterior surfaces such as: Concrete, Masonry Walls, Basements, Patios, Sidewalks, Driveways, Garage Floors, Cement Blocks, Pillars and Brick. Have your deck properly stained utilizing our step-by-step approach and experience deck maintenance and enhancement the right way.